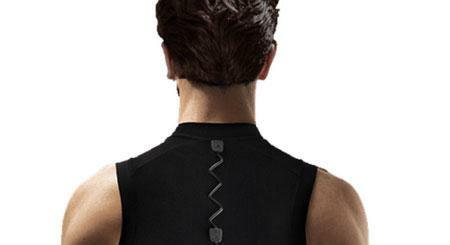 Sospendo: a hands-free wearable stand for smart devices. It features a flexible aluminum band and can hold your device horizontally or vertically. Phoseat selfie stand: a cool phone stand that serves as a self-shooting tool. 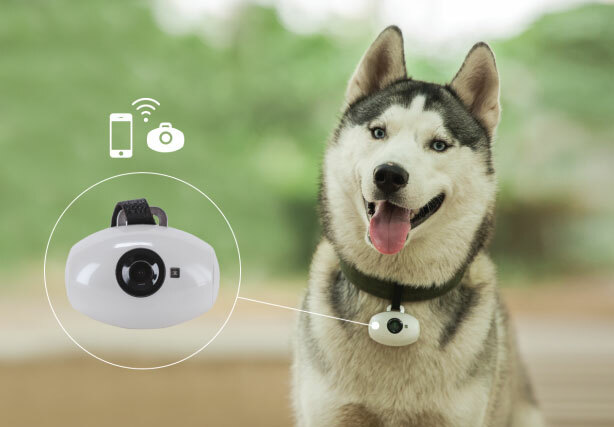 You can wear it on your neck for video chatting too. 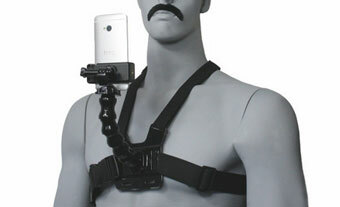 Gooseneck chest mount: supports smartphones with max width of 85mm as well as GoPro cameras. It provides a chest level point of view when shooting videos. 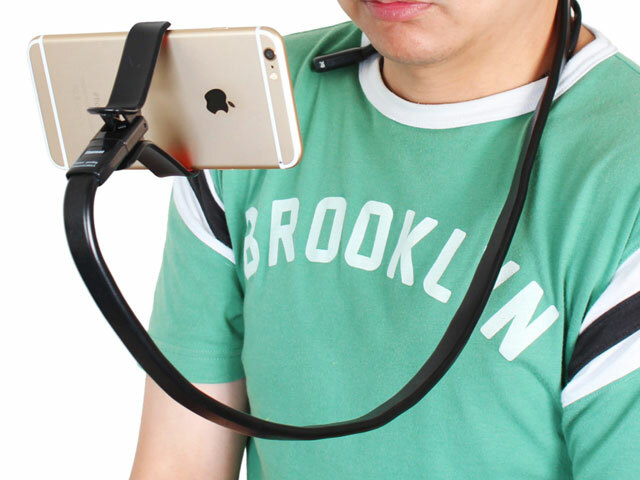 Have you found other wearable smartphone holders? Please share them here.